Bradford winger Paul Anderson will be out for approximately six to seven months after breaking his right leg. 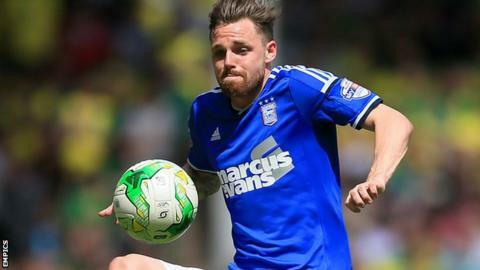 The 27-year-old suffered the injury in the first half of the League One side's 2-0 defeat by Peterborough on Saturday. Anderson has made 10 appearances for City this term, having joined in August following his release by Ipswich. "With Josh Morris and Paul Anderson out now, we may have to look at bringing a player in on loan," manager Phil Parkinson told the club's website. Bradford are currently on a three-match winless run and sit 18th in the table, two points above the relegation zone.